This gas connector kit consist of a 1/2 inch OD, 3/8 inch ID, 48 inch long, durable yellow coated corrosion resistant stainless steel gas connector configured with 1/2 inch FIP x 1/2 inch MIP SmartSense EFV & TS adapters. 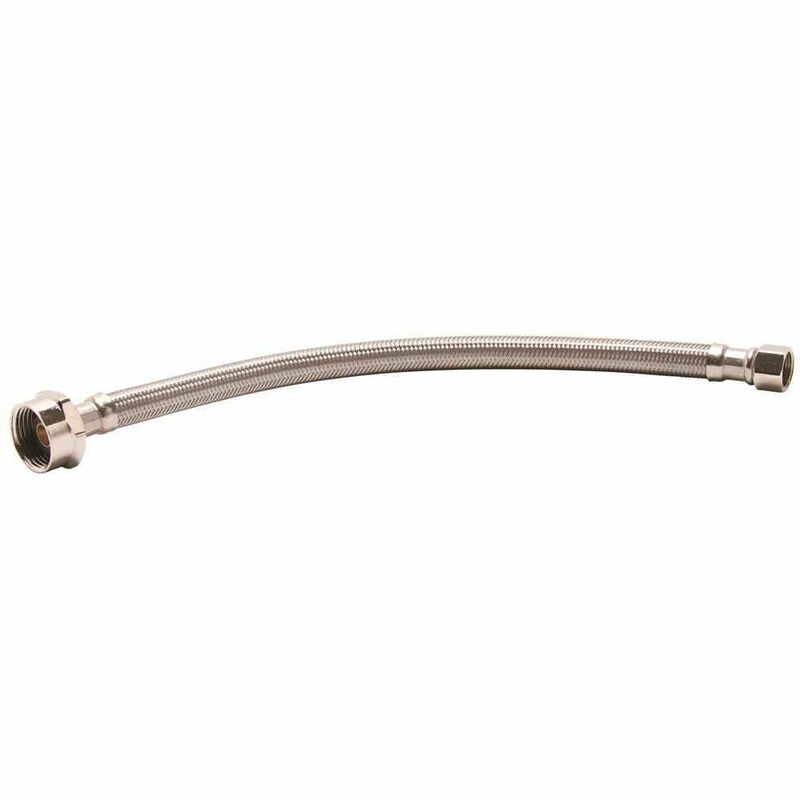 Designed with safety in mind, this CSA approved gas connector is commonly used for the installation of home appliances such as gas dryers. SmartSense used with Dormont (R) coated gas connectors provided an industry leading 3 Levels of protection. The 1/2 inch OD flare x 1/2 inch MIP SmartSense (TM) excess flow valve and thermal shut off is an intricately-designed valve comprised of two primary components, a gas flow-limiting plunger and thermal shutoff sensing ring. In the event of a gas line rupture, disconnection, or even a fire, SmartSense detects the potential threat and automatically activates to ensure your safety. The plunger limits gas flow in the event of a full-line rupture or disconnect, providing protection against excessive gas leaks. 3/8 In. Automotive style Female plug connects with a 3/8 In. automotive style coupler for easy and fast changes. 1/4 In. NPT threads fit with most accessory and tool inlets. The plug is heat treated steel for long life and zinc plated to protect against corrosion.